I have a little something fun for you all today. I’ve gathered up a few of my favorite Fun and FREE Fonts for Fall! The links for each downloadable font is listed below the picture. You can use the fonts to create your own printables, gift tags, cards, labels, or whatever your creative mind comes up with! 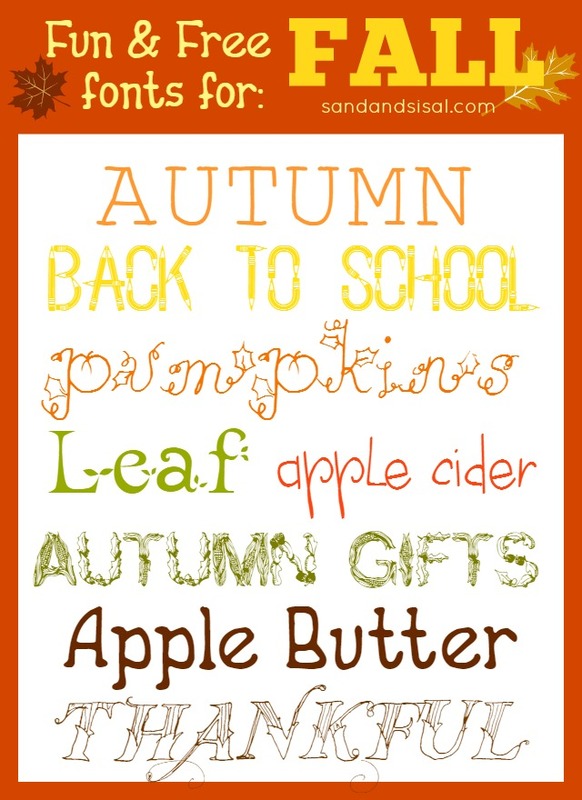 Click the links below to download the fun fall fonts.